Indian sandstone has been globally recognized for its unmatched quality, strength and availability in a wide range of colors and surface design patterns. And for this reason, it is in huge demand in the Americas, Middle East and European market. 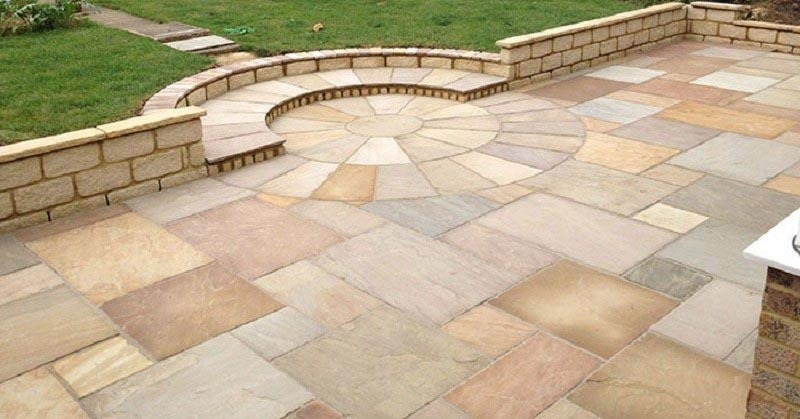 Many Indian sandstone manufacturers and exporters are therefore engaged in exporting bulk quantities of various sandstone products in these regions. Indian sandstone comes in innumerable colors and varieties; ranging from green, gray, brown, pink, gold, red and white. Some most popular varieties of Indian sandstone are Bansi Pink, J. Pink, Jaisalmer Yellow, Kandla Grey, Modak, Yellow Wood and Rainbow. Moreover, these sandstone varieties from India are available in multiple finishes and can be selected as per the requirement and choice. Some popular sandstone finishes are natural hand-cut, honed, brushed, bottom calibrated, sawn/machine cut, tumbled, sandblasted and polished. As a matter of fact, sandstone is regarded as one of the most versatile of all natural stones. While it is extensively used for interior as well as exterior applications, its exterior uses are more preferred due to its unique qualities and features. Exterior sandstone installations are usually placed in large open areas like gardens, parks along with backyards and front yards. Its most common applications is paving and in the outdoors, Indian sandstone paving can be seen as flooring around a property as in patios, pathways, driveways, pool surrounds and many more. Likewise, in the gardens, this Indian natural stone is mostly used as a decorative element to enhance the looks of the exteriors while preserving the naturality of the same. 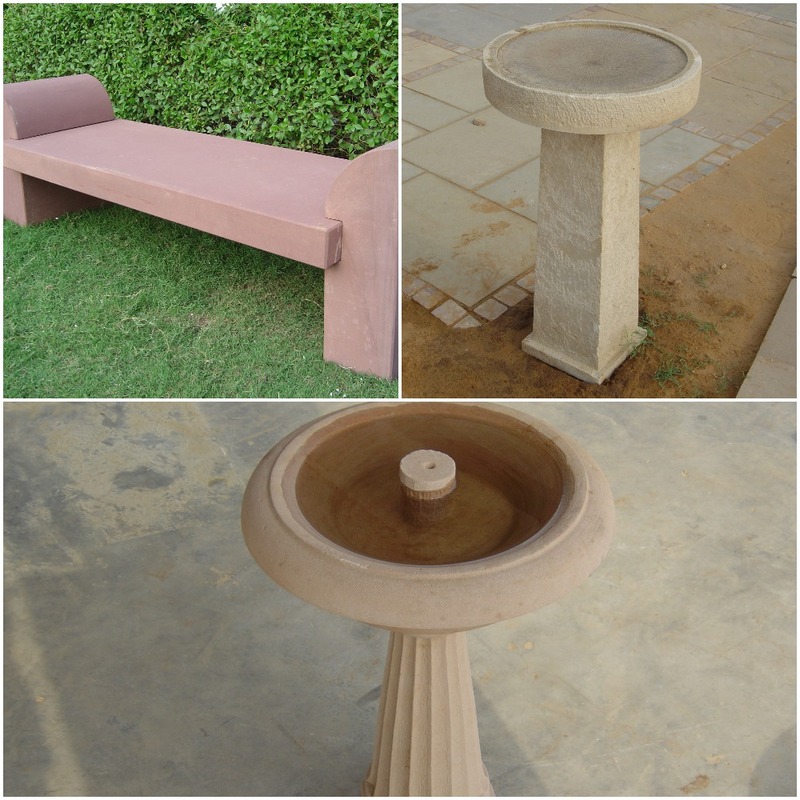 Popular garden applications of Indian sandstone are fountains, stone lamps, statues, planters, urns, vessels, bird bath and furniture. 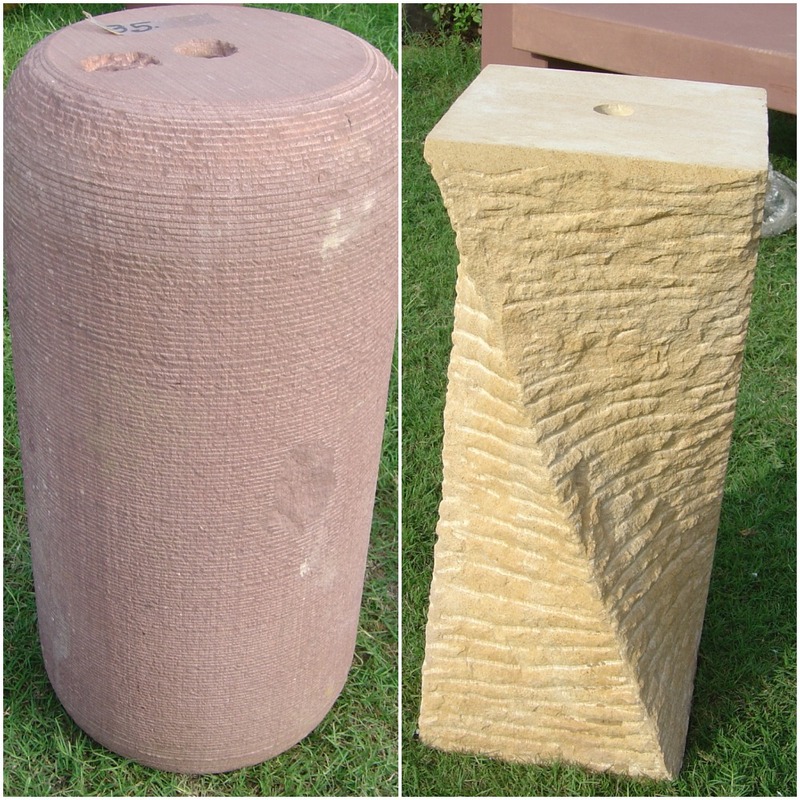 Additionally, sandstone products like pillars and columns, stone balls, stone mushrooms and millwheels are also quite a popular Indian Sandstone product that have been used to adorn outdoor spaces for ages. Around the globe, you can find many historical mansions, palaces, public buildings and monuments being built using sandstones or having this highly resistant natural stone in and around them as a decorative stone. Needless to say, Indian sandstone art pieces are also a great object for interior decoration. Now, when we are aware of the immense versatility of Indian sandstone, let’s discuss those features and qualities that make it an ideal natural stone for exterior applications that substantially contribute to its worldwide popularity. Nevertheless, advantages of Indian sandstone are innumerable and discussing them all is beyond the scope of this article. Thus, we will limit the discussion to the most prominent features of Indian sand stone. Firstly, its suitability for all seasons makes it perfect for outdoor installation at any location around the world. Secondly, its durability and ability to get sealed makes it withstand harsh weather conditions and other environmental factors. Its ability to be cut and carved with ease allows artisans to give the exact design and shape as per the requirement and that too, with perfection. Moreover, the natural looks of this Indian stone and existence in a bevy of colors is simply the best among all dimension stones. Regardless of the place of installation and color, Indian sandstone always boost the décor of the space in a natural way while imparting a natural charm that is probably not possible with any other material. Besides, features like easy maintenance and anti-skid surface make Indian sandstone perfect for outdoor applications like walkways and pathways; capable of preventing slips and falls even during the rainy days. With the above discussion, it can be concluded that Indian stone truly deserves all those words of admiration and its global popularity is by no means a case of puffery. It is versatile, naturally beautiful, easy to maintain and an all-purpose natural stone. Even when it comes to buying sandstone from India, you don’t have to fret as we have a one-stop destination for all your Indian sandstone needs – Regatta Universal Exports. Regatta Universal Exports is an 18-year-old manufacturer and exporter of Indian sandstone, which is globally known for its high product quality, on-time deliveries, safe packaging and very competitive Indian sandstone prices. You can browse across the sandstone product categories on Regatta’s website and can make select your favorite natural stone. Up on reaching the page of your selected natural stone, you can raise all your product-related queries and request for sandstone price by simply filling the “Product Enquiry” section. The dedicated marketing team of this Indian natural stone exporter will get in touch with you in the least possible time as soon as it receives your concern. A highly satisfied global customer base of Regatta Universal Exports speaks for the professionalism and customer-oriented approach of this renowned Indian sandstone exporter.